Ingredients range from teriyaki sauce with truffle aioli to Cheetos crumbs. We know, you want them all. Us, too. 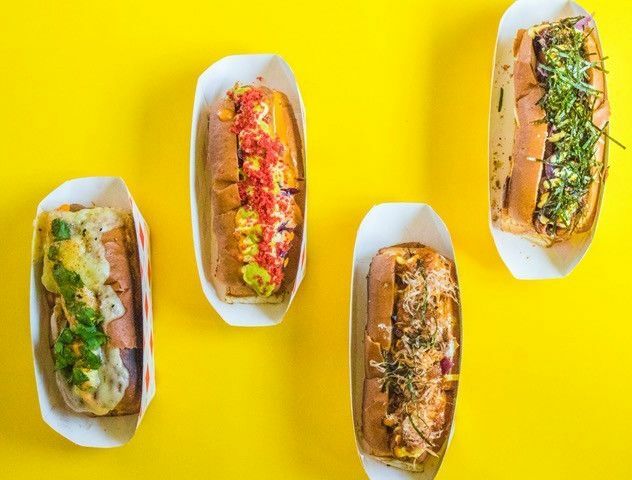 There's a new dog in town thanks to Houstonian Oh Peou, co-founder of the soon-to-be-launched Spicy Dog'N Go food truck. Last weekend, Peou and his team were busily prepping their signature sausages at one of the pop-ups they're hosting this month at Sigma Brewery. 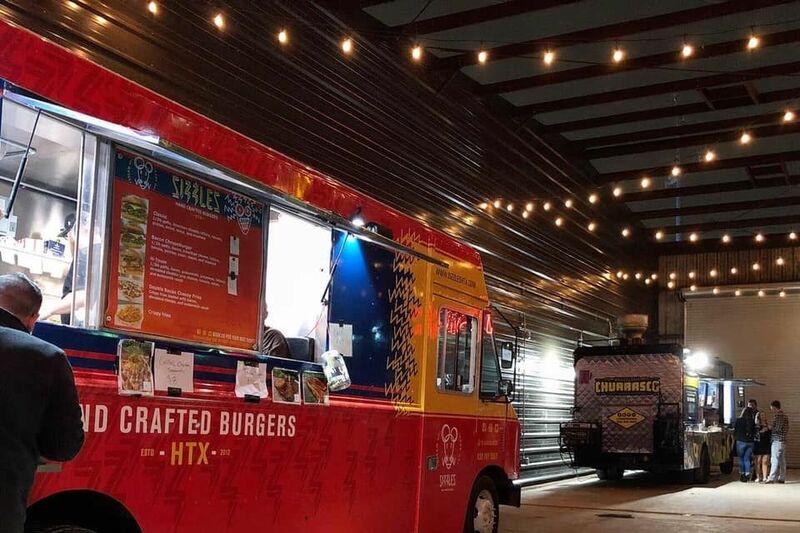 Spicy Dog has already hosted pop-ups at Buffalo Bayou Brewery and are looking at other local breweries to host them until they open up their food truck, which is planned to operate at a for-now permanent location on Yoakum in Montrose. 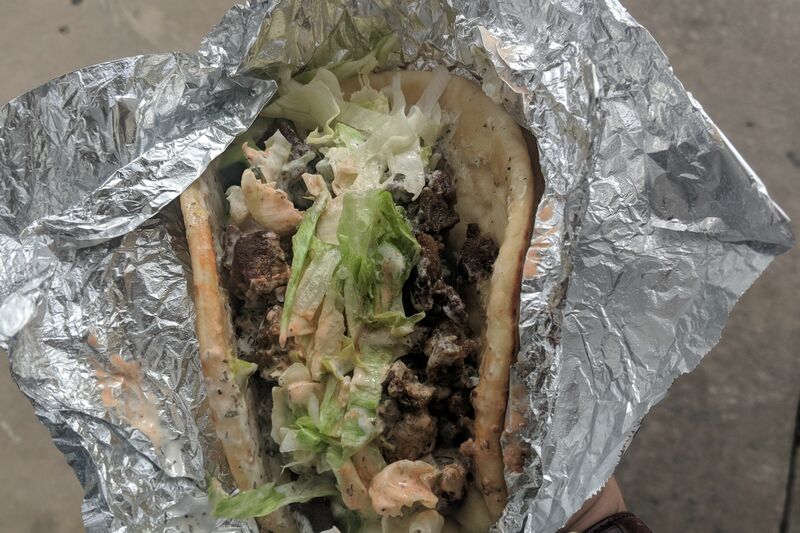 Few young entrepreneurs can say that starting a food truck is following their parents into the family business, but that is precisely the case for Peou, whose parents have a truck in Philadelphia. In addition to Spicy Dog, this ambitious 20-something is also part of the creative team behind Reverberate Marketing Agency, the folks who sponsored the first annual Poke Competition earlier this year. 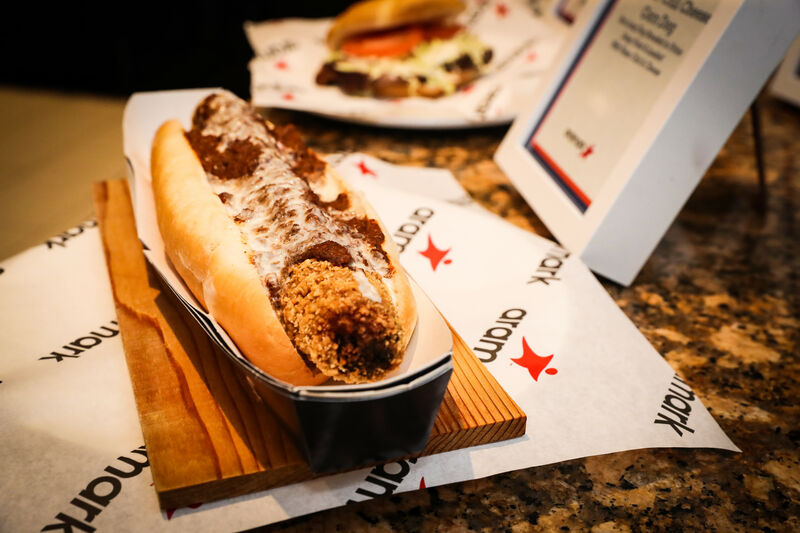 While Peou continues to roll out new menu items, we were lucky enough to get to sample three of their "top dogs": The Bop Dog, the Dogzilla and the Crazy Dog, all made with 100-percent beef dogs, served on sourdough Texas toast-style buns, coming in at $5.95 each. 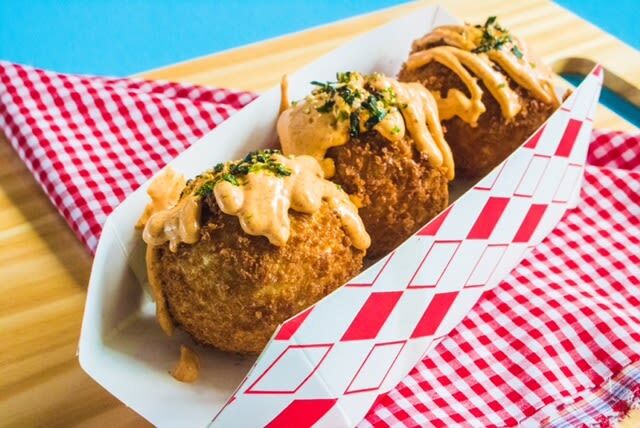 Are mac-and-cheese balls better when they're Korean style? Bop Dog: Our favorite of the three, with a heaping helping of spicy Japanese mayo, teriyaki sauce, garlic butter cream cheese and truffle aioli topped off with shredded seaweed and caramelized onions. Not for the light of appetite, this is one big dog. Dogzilla: Cheetos are popping up on a lot of menus lately and Peou is a fan. Combining spicy Japanese mayo, with a jalapeño salsa inspired by the green salsa at Ruchi's, this two-onion dog features both the caramelized and crispy variety and is topped with a heaping sprinkle of Cheetos crumbs. 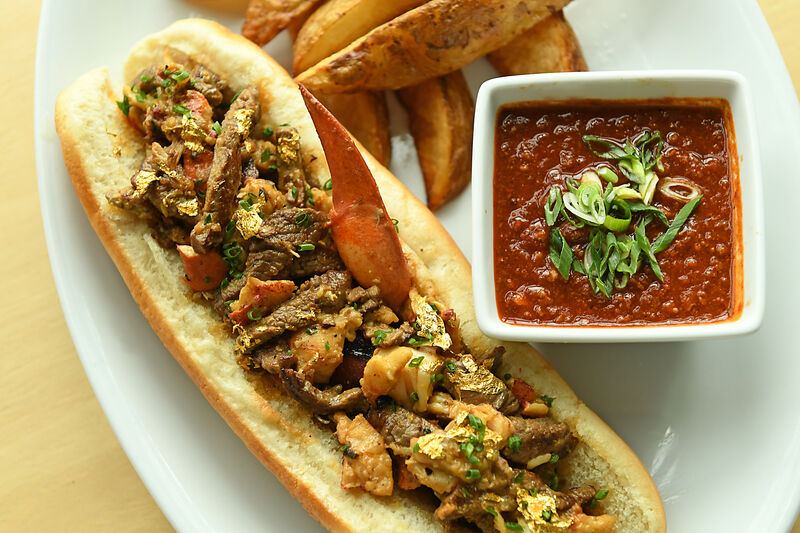 Crazy Dog: Peou also loves infusing Cajun into his menu (he has more Cajun-inspired ideas that will be served from the truck), so this dog has Cajun ketchup combined with bonito flakes, garlic butter cream cheese, spicy Japanese mayo, as well as the onion duo and shredded seaweed. Not stopping at just dogs, Peou is also incorporating items like Sushi Tots ($5.95), yes, sushi tater tots that pop in your mouth; Bop Balls ($4.95 for three), they had us at fried macaroni and cheese; and the K-Poutine ($6.95), homemade fries with cheese curds, sweet barbecue beef, and Spicy's own blend of gravy, cilantro and caramelized onions. Much like his beloved, almost cult status favorite YoYo's, Peou takes caramelized onions really seriously. Based on what we got to sample so far, Spicy Dog might just be headed for its own loyal following.